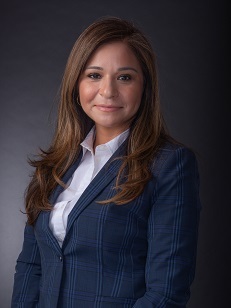 Norma Copado is a Senior Partner with Alvarez-Glasman & Colvin, and currently serves the cities of Pico Rivera, and Chico as a Deputy City Attorney. Ms. Copado specializes in all areas of Municipal Law, and has extensive experience invoking administrative, civil, and criminal remedies on behalf of numerous municipalities throughout the state of California. Prior to joining Alvarez-Glasman & Colvin, Ms. Copado served as an experienced litigator specializing in municipal law and code enforcement. Ms. Copado worked for a law firm for over twelve years that had a client roster of over 50 cities in Los Angeles, Riverside, San Bernardino, San Mateo and San Diego Counties. Ms. Copado served as special counsel, code enforcement attorney, and city prosecutor on behalf of cities enforcing municipal codes, agency regulations, and state laws.